Epiphone’s #1 fan Les Paul and Gibson and Epiphone designer Ted McCarty both get understandable credit in the history of the Kalamazoo factory of the '50s and early '60s. But they were not alone. One other key figure was Seth Lover. We now take humbucking pickups for granted but it might not have happened were it not for Seth Lover. It was the mid-’50s when Gibson employee Seth Lover designed an electric guitar pickup which “bucked the hum,” the hum and interference that existing single-coil pickups were prone to suffer. In 1957, Lover’s humbucker pickups became standard issue in the Les Paul model, giving the guitar a fatter, rounder tone. The sound, for many, soon became a defining guitar tone in blues, ’60s proto-rock, metal and beyond. Some say Seth Lover didn’t “invent” the humbucking pickup. Electro-Voice, a pro-audio company, also worked on an early humbucking design for PAs. But Lover brought it to the guitar world. 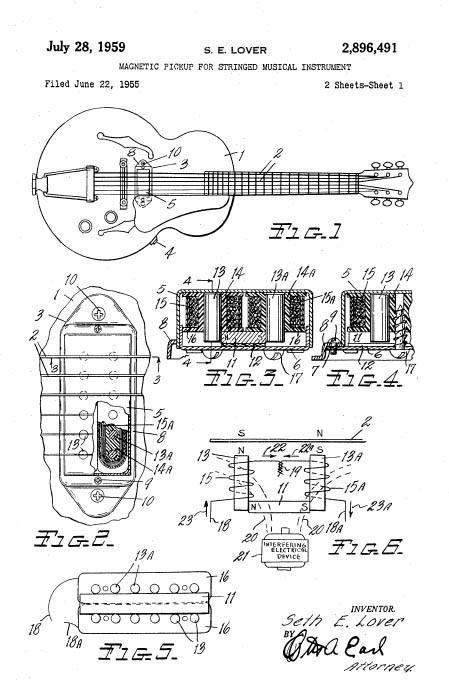 His 1955 PAF design – which stands for Patent Applied For – is part of guitar folklore. To this day, many guitarists covet a PAF model. In simplistic terms, a humbucker is two pickups in one. In any magnetic pickup, a vibrating guitar string, magnetized by a fixed magnet within the pickup, induces an alternating voltage across its coil(s). But wire coils are sensitive to electromagnetic interference caused by alternating magnetic fields – you get “hum.” The humbucker solved the problem. As with many innovations, the attempt to stop a problem (in this case, hum) also resulted in something else. 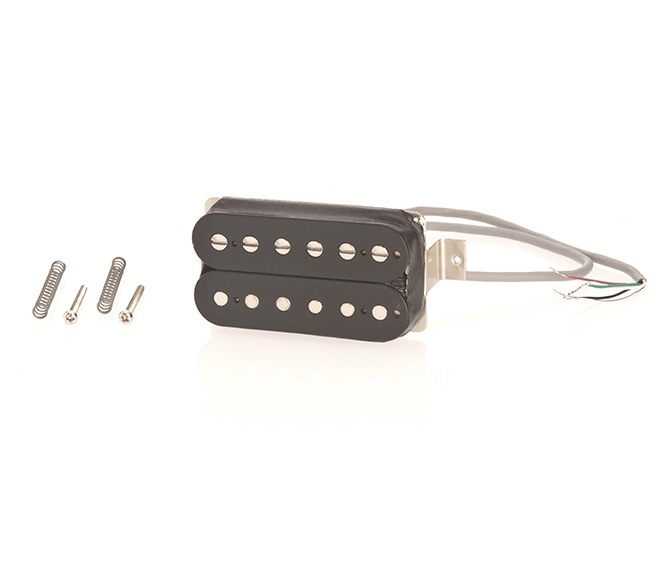 The humbucker sounded much “fatter” than any other pickup. 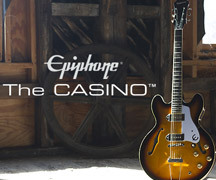 So Seth Lover’s work for Epiphone and Gibson not only solved a problem, it invented a sound. When the new Patent Applied For humbucker was announced in the Gibson Gazette, it was called “the ultimate for recording, broadcasting or whenever truly fine performance is required.” It was finally unveiled at the NAMM trade show in 1957. 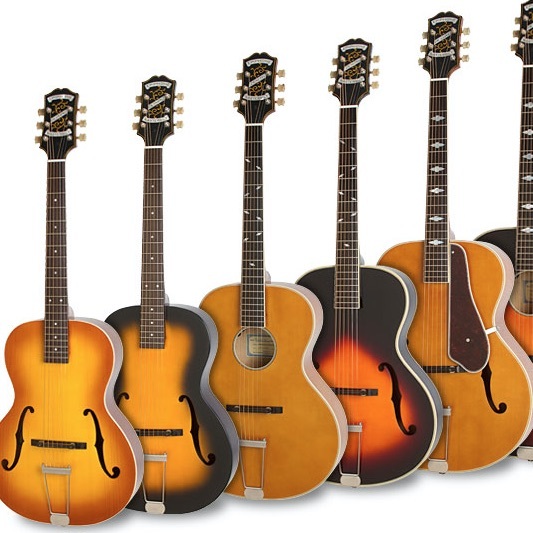 While the Les Paul Standard and Custom are the most famous to pack PAFs, the humbucker was actually first used in the Kalamazoo factory’s steel guitars in ’56 and then introduced to archtop models such as the ES-175, ES-295, ES-335, ES-5 Switchmaster, Super 400 and the ES-350T favoured by Chuck Berry. Some early PAFs were hand-wound – only adding to their desirability among vintage-seeking circles. By the 1960s, automated production took over, which added more consistency. But some “overwound” ’buckers can have a special allure. Overwound coils create more midrange and less top-end for an even fatter sound. The two-coils-in-one PAF could often have different coil impedances too, which affected the sound balance across different sets. Guitar designers may also be artists, but they are primarily engineers. 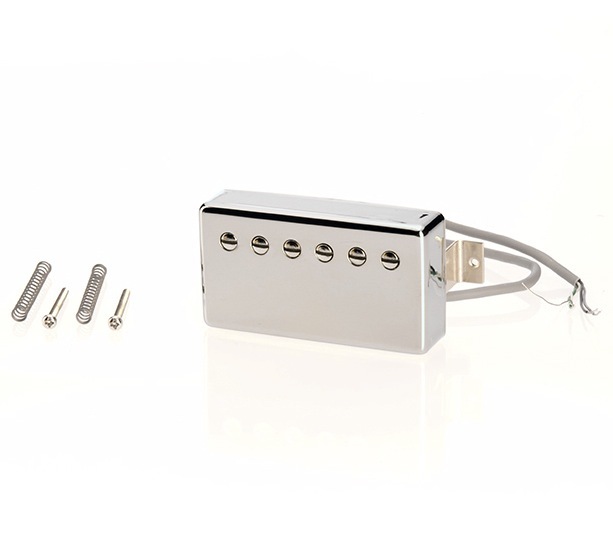 Thus, there was also humbucker experimentation with magnets – alnico = aluminium (Al) nickel (Ni) and cobalt (Co). Numerous variants have been used over the years. “Wax-potting” is also a major debate between pickup nerds – some even advise how to do it yourself. We’d leave that to the experts. Humbuckers arguably came into their own in the 1960s. The higher-amped electric blues of Mike Bloomfield, Eric Clapton, Duane Allman and many others showcased the fat, singing sound of the humbucking pickup. P-90s have their own allure, for sure, but as the current polls suggests, humbuckers are guitarists’ favourites. Decades on, humbuckers come in all flavors – big and fat-sounding, sharper and brighter, sometimes more mellow and fuller. Gibson still makes a dizzying array of humbucker options, while many other businesses have flourished trying the capture the “perfect” humbucker. Tonewoods, neck shapes, design, basic playability are all key credentials of any electric guitar. But credit must go to Seth Lover for firing the starting pistol on the benefits and sounds of something we take for granted – the humbucker pickup. Lover died, aged 87, in 1997 after a brief illness. But he made an indelible mark on the world of electric guitars.